Eye to eye with the unknown. 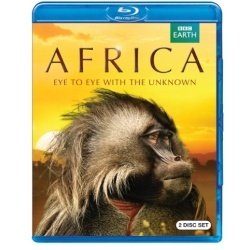 Mike Gunton, Executive Producer of Life, presents an amazing new perspective on the landscapes and creatures of Africa. This is the world's wildest continent as you've never seen it before - an intense sensory adventure from the Atlas Mountain through the Savannah lands to the Cape of Good Hope. Hosted by renowned naturalist David Attenborough, Africa contrasts the epic power of the landscape with the dramatic struggles of the animals that live there. Each episode promises intimate, eye-to-eye encounters with extraordinary wildlife, venturing into genuinely unexplored places and capturing never-seen-before behavior.